As the recent tornado that tore through Melbourne might suggest, climate change is real, and it’s doing some fairly funky things to our weather. But tackling something as immense as climate change often seems impossible. How can one person make a difference? Well, luckily for us, the smart people over at the Commonwealth Scientific and Industrial Research Organisation (CSIRO) have found a way that you can help create sustainable energy and enjoy yourself, all in the heart of Fed Square. 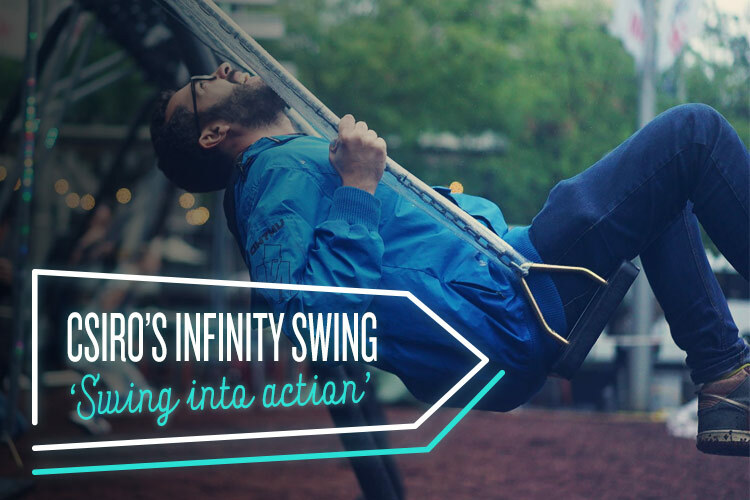 The CSIRO Infinity Swing is not, as the name might suggest, a swing that you are unable to ever hop off (although that wouldn’t be that bad right?). Instead, it’s a rather a fun, easy way that you and your friends can help make the world a cleaner, greener place. It all started when the scientists at the CSIRO asked themselves: what if we could make sure energy was affordable and available forever while protecting our planet? Now that’s a fairly lofty, not to mention difficult, aim to set for yourself, so hats off to those guys for being such upstanding citizens of the world. In line with such decent ideals, the Infinity Swing is part of the CSIRO’s biggest ever public awareness campaign and is designed to spark a national conversation about the need for affordable, renewable energy. All that’s required from you is to show up, sit down, and swing your way to a better future. If that sounds like something you might want to get involved in, then head on down to Fed Square and help our best and brightest scientists tackle some of the challenges that we and the rest of the world face. The Infinity Swing will be open to the public from 8:00am to 6:30pm Monday to Saturday from the 16th to the 21st of November at the Swanston Street Forecourt.